Few surfaces are as beautiful, lasting, and practical as tile. Few tile designers and installers offer our inspired craftsmanship. Whether your tile is precision-baked or quarried from nature, you will have an artful design focal point in your home. From bold hues to ethereal glass and refined stone, nothing showcases taste as enduringly as tile. You will be delighted as you choose from an unprecedented number of colors, finishes, and textures. Bathtub-shower combinations are standard issue in many homes, but many people prefer showering. Replace an old claw-foot or conventional model with the luxury shower you covet. Or, if you love to bathe, replace your ordinary fixture with a luxurious Jacuzzi or state-of-the-art soaking tub. Get rid of unsightly, outdated shower tile. Let us show you the latest offerings in glass, ceramic, and quarried stone. Indulge your senses with exciting new fixtures and glass enclosures. Reinvent your stall with benches, ledges and shampoo niches customized to your height. Add a state-of-the-art steam shower and multiple sprays. Have a rain shower head. Get spa luxury right at home. 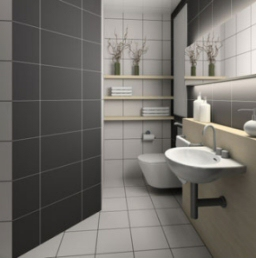 You deserve to enjoy your daily routines more and in a bathroom that is a constant reflection of your good taste. Quarried tiles can be used alone or as accents. Your design will be unique – because in nature no two stones are identical. Let us put our knowledge and skill to work for you. With our superior sources, knowledge of selection, and skill in installation, you will get the get the long-lasting beauty you demand. Tile flooring will anchor your kitchen decor. The texture and style selection is vast. It can be a centerpiece of design, or a complement. In addition, clean-up is easy and footing is safe. Artful backsplashes add a focal point to your kitchen while guarding walls from spray and spatter. We turn accents into works of art. You can have the show-stopping bathroom you have always wanted, rich with features that help you relax and enjoy – even on a hurried morning. You will get a one-of-a-kind creation that makes your personal space truly personalized. Enjoy a bathroom floor that is innovative and artful. Replace an everyday look with elegance. You can make bathroom flooring the starting point of your décor – or the piece de resitance. Work With Us. Work With the Best! If you need a shower for senior family members or someone with mobility challenges, call now. Our designs reduce the dangers of falls and scalding. No one combines accessibility and beauty as seamlessly as we do! Installing tile is both an art and a science. It demands planning, precision and patience. We are well known for visionary design and we have perfected installation. Our work has been featured in the Minnesota Parade of Homes for more than five years in a row. We have an A-plus rating with Angie’s List and the Better Business Bureau. More than 75 percent of our business comes from referrals and repeat customers. Tile floors work for every room in your home. They stand up to the mud and salt of winter, dirt and moisture of summer, and abuse by pets and kids. They do not harbor allergens, mold spores or dust. They can be heated in winter for maximum comfort and healthier living. They are easy care and easy maintenance. We will handle every aspect of planning, installation and cleanup. We always strive to minimize mess, and promise to leave your home thoroughly clean.